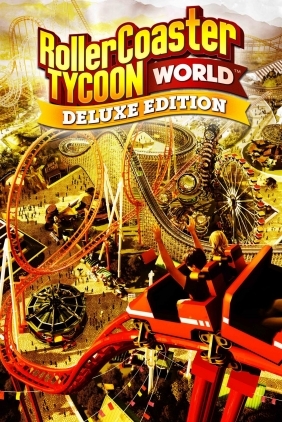 RollerCoaster Tycoon World™ Deluxe Edition Steam Key - CD Keys for Steam, Uplay, Origin and more! Legal notice: ©2016 RCTO Productions, LLC. All rights reserved. RollerCoaster Tycoon® is a registered trademark of Chris Sawyer. ©2016 Chris Sawyer. Produced, marketed and distributed under license by RCTO Productions, LLC, an affiliate of Atari Interactive, Inc. Atari and the Atari logo are trademarks owned by Atari Interactive, Inc. All other trademarks are the property of their respective owners. Developed by Nvizzio Creations Inc.